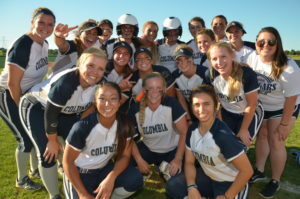 Watching her team drop its season opener told Columbia College softball coach Wendy Spratt pretty much all she needed to know about the 2017 Cougars. The 2017 Columbia College softball team finished fourth at the NAIA World Series, the highest finish in program history. 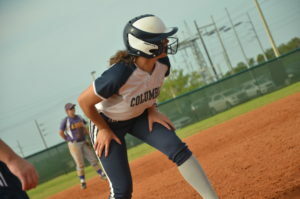 Columbia College, coming off a season in which it missed out on postseason play, took on reigning national champion Oklahoma City University on a neutral field in Fort Worth, Texas, on Feb. 10 to kick off both teams’ seasons and suffered a 2-0 loss. But it was a loss in which the Cougars put more runners on base than Oklahoma City and chased the Stars’ starting pitcher after four innings. The Cougars lost only six more times during the rest of their 48-7 campaign, winning both the American Midwest Conference regular-season and tournament champions, advancing to their first NAIA World Series since 2010 and finishing fourth at the national championship tournament, their best World Series finish in program history. Columbia College posted a 23-1 record in the AMC, and four of its seven losses came to teams that finished in the top 25 nationally, including national champion Oklahoma City, runner-up Corban and third-place team LSU-Alexandria. Another came to Missouri S&T, an NCAA Division II team. After the close call against Oklahoma City, the Cougars swept their way to six wins and the Gulf Coast Invitational gold bracket championship in Gulf Shores, Alabama, at the beginning of March, run-ruling then-No. 12 Campbellsville for the title. Columbia College had lost all five games at Gulf Shores the year prior. The Cougars combined a potent offensive attack up and down their lineup with a devastating one-two punch in the pitching circle to make history this season. The first three batters in the order all earned All-America honors: leadoff hitter Carly Spalding and Carter, the three-hole hitter, were first-team All-Americans, while No. 2 batter Theresa DeCosty was a second-team All-American. Sophomore Molly Carter set single-season program records in home runs (14) and runs batted in (87) for the Cougars this season. Spalding set Columbia College single-season records in hits (95) and stolen bases (57), while Carter set program records in home runs (14) and runs batted in (87). DeCosty hit .439 for the season, with 48 stolen bases in 50 attempts. In the circle, Paxton Welch and Lauren McCroskie each won more than 20 games and maintained earned-run averages of less than 1.50, as the Cougars outscored their opponents by an average of 5.4 runs per game. Welch went 23-5 with a 1.44 ERA, and McCroskie was 22-2 with a 1.40 ERA. Spratt said that, while in years past Welch carried the team in the postseason, McCroskie was very effective at sharing the load this year. The two had skill sets that complemented each other, and graduate assistant and pitching coach Jordan Logan called pitch sequences that played to their strengths. The Cougars are losing a lot of talent to graduation after this season, with DeCosty, McCroskie, Spalding and Welch all moving on. But Columbia College also returns the core of a lineup that includes Carter, .400 hitters Allyson Metz and Rachel Sullivan and run producers Alexandra Linck and Karli Leeper, as well as pitcher Kaitlyn Nottelmann, who posted a 2.27 ERA over 24 2/3 innings as a freshman this year. They’ll get the chance to build off the success of the 2017 Cougars, who reached heights no other Columbia College softball team had before.